Four recent examples of failures in energy leadership demonstrate the extreme danger posed by political correctness in formulating public energy policy. Political correctness in public energy policy is a clear and direct threat to the future of mankind. Four recent examples of failure in energy leadership demonstrate the extreme costs off this political correctness. Moreover, we can only overcome it if we’re willing to identify and condemn it, which is what this post is all about. I was struck this week by four stories illustrating how easily any rational discussion of how to best meet energy demands is thrown off-track by political correctness. The state Public Service Commission [has] ordered utility companies to slip the increasing costs of subsidizing renewable energy sources somewhere into customers’ overall bills. In other words, don’t risk making waves with consumers by creating a special line item to highlight this particular expense. 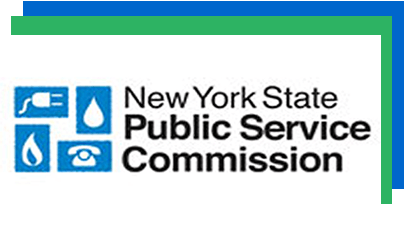 Depending on the tariffs they file with the state, utility companies must receive the PSC’s approval for the manner in which they detail energy costs to customers on their bills. The utilities proposed creating a separate line item on each bill to highlight the additional costs for providing the CES subsidies. But in a Feb. 22 written ruling, the PSC rejected this idea. And in so doing, it asserted a unique rationale. Yes, you read correctly. The PSC believes that a separate line item on a bill explaining to customers how much extra they’ll be paying to ensure that power companies comply with the CES could cause “confusion” because this method may not be “consistent” among all utilities. Yes, it’s now public policy in New York to hide the cost of not using inexpensive clean natural gas so Andrew Cuomo’s Rube Golberg contraption of subsidies for nuclear and renewable energy can be buried from public view. The major California-based solar company Sungevity declared Chapter 11 bankruptcy Monday. Sungevity is laying off workers, auctioning off some assets, and agreeing to hand over control investors in exchange for $20 million in financing to keep the company’s operations going. Sungevity cut 350 jobs last week, according to The Mercury News, as is expected to start selling assets at the end of April. Another solar company called Beamreach went bust in January after it received $3 million in Department of Energy funding in 2008. The major solar company SunEdison also recently declared bankruptcy. Roughly five major solar companies closed up shop in 2015, which follows the historic tendency that solar power companies tend to go bankrupt as soon as the subsidies are cut off. Solar power companies are heavily supported by financial invective from the government. Most subsidies go to residential installations payments called net metering or a 30 percent federal tax credit. Previously, solar subsidies were so lucrative that solar-leasing companies installed rooftop systems, which run at minimum $10,000, at no upfront cost to the consumer. This naturally favors relatively wealthy consumers. Solar and wind power get 326 and 69 times more in subsidies than coal, oil, and natural gas, according to 2013 Department of Energy data collected by Forbes. These are the sorts of subsidies that, without which, solar enterprises wouldn’t even be in the game and they rise well above the ratepayer subsidies the PSC is hiding in New York. Solar energy cannot compete with natural gas without massive public financial support from both taxpayers and ratepayers, a political correct but positively stupid public policy. The DRBC commissioners continue to confer in good faith on a path forward. The phrase “good faith” obviously means something different to a DRBC Commissioner than the rest of us. Running scared of Maya and Josh, refusing to vote and sitting on your behinds for seven years doing absolutely nothing other than taking more money from the very same William Penn Foundation that is funding the activist group suing you, is good faith? Sorry, folks, but you doth protest too much. Pretending you’ve acted in good faith by hiding, obfuscating and delaying decision-making any way you can for seven years isn’t good faith; it’s absolute sacrilege. You insult me and every other resident of the upper basin, whose very future you’ve stolen by your cowardly behavior. Spare me your word polish. Tell me why you allow gas drilling in the Susquehanna and yet treat me, a Delaware River Basin resident, as a second-class citizen? 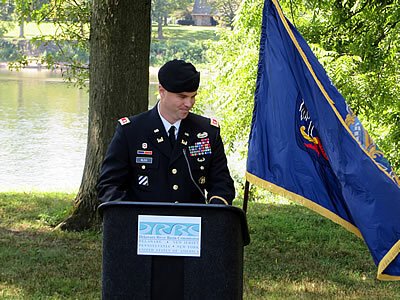 Our final example doesn’t bear directly on energy, yet has everything to do with it, if you’re aware of what groups such as the CELDF are doing in places such as Grant Township, Pennsylvania, Mora County, New Mexico and Youngstown, Ohio. The CELDF has promoted “community rights” ordinances in those places using fracking as the fear factor to motivate officials and voters. It’s merely an excuse, though, and a careful reading of the proposed ordinance reveals the real intent is to empower radicals such as the CELDF itself, acting in the name of rocks, rivers and trees. They’ve been largely unsuccessful, leaving behind trails of overturned ordinances and legal fees paid to defend the indefensible. The River Frome. One wonders if the dam would be permitted today. Would the River Frome, with its new personhood, allow it? The River Frome could soon be capable of bearing the same rights as humans and companies, if proposals to establish a nature rights by-law go ahead. 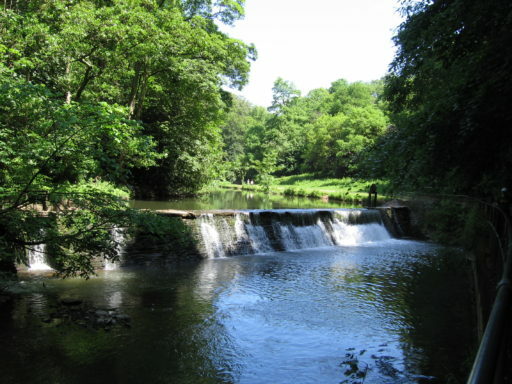 Sustainable Frome is campaigning to get Frome Town Council to create a new type of by-law which recognises the river as a legal system capable of bearing the same rights as us humans. The key elements of a nature rights by-law for the river were laid out at a town council meeting last July. 1. That the river be given appropriate rights stemming from the function of rivers within the wider whole of nature. 2. That local people and the council be granted the power to enforce these rights on behalf of the river. Currently anyone trying to defend the nature of the river has to show sufficient interest in order to bring a case. 3. That the river must not be subordinated to the rights and interests of companies of natural persons, whose property claims must respect the rights of the river. Yes, you read that correctly. These people don’t view natural resources as something to be to used for the benefit of mankind; they see mankind as subservient to natural resources. We humans only exist to protect the rights of the river, the trees, the sky and so on. It’s worship of the God named Gaia taken to a new level. The philosophical flaws in this return to Paganism is a subject for another day but it is worth focusing on No. 2 above, which, of course, is the whole point. It gives any malcontent the power to sue or take other action for no reason at all other than an expressed desire to please Gaia. It’s the same kind of power desired by the CELDF and its ilk; the power to rule independent of the people while speaking in their name or, better yet, that of a higher deity. This is what we’ve come to in Western Civilization and don’t think such power wouldn’t be applied first and foremost to energy policy. That’s why I included it in my list of energy leadership fails; because that’s what it will produce. There’s but one word for it and the other three examples I’ve cited — madness. There is an interesting tweet by it looks like someone who works for Food and Water Watch. It seems to say that organizing and DIRECT ACTION gets the goods. It also seems to be linking to a tweet about the Republican governor of Maryland and a surprise announcement today by him about the fracking issue in Maryland.